Finding meaning as you travel can be seemingly ubiquitous, but in my experience, it really is anything but. The excitement of planning can soon turn into a stressful, overwhelming experience especially if one has a limited time constraints in any given place. The tendency, of course, for many is to pack everything in as short of a time frame as humanely possible. Only have ten days to explore Italy? Well then why not stop at Florence, Rome, Venice, the Amalfi Coast and Cinque Terre, plus a few day trips right? Frankly, it is more likely to be exhausting at best. Long lines at major museums, crowded trains (especially in high season), the rush to pack for the next day, or worse, trying to get that “perfect photo” while never staying in one place long enough to get to know the guy serving you coffee in the morning. You’ll probably want a vacation as soon as you get home, which is why I strongly implore people to consider a different way, a different mindset, of traveling. It should be said that Italy for all of its wonderful benefits, is not the place you to be if you consider yourself a perfectionist who relies on life being one well-tuned machine without kinks. Here, if this country can guarantee you anything, it’s that plans will probably change; trains at time delayed, restaurants unexpectedly closed, or full. The only think you can guarantee is that there is no guarantee. At the same time one must wonder what it is they actually love about Italy. For many, it is the allure of the slower lifestyle (well unless you commute for work in Milan or Rome). The “stop and chat for coffee” approach by Italians that wouldn’t allow for work to get in the way of a good time. It’s the meals, the long three-hour, several course feasts that on any given Sunday can almost always require a passeggiata (walk) followed by an hour-long nap. 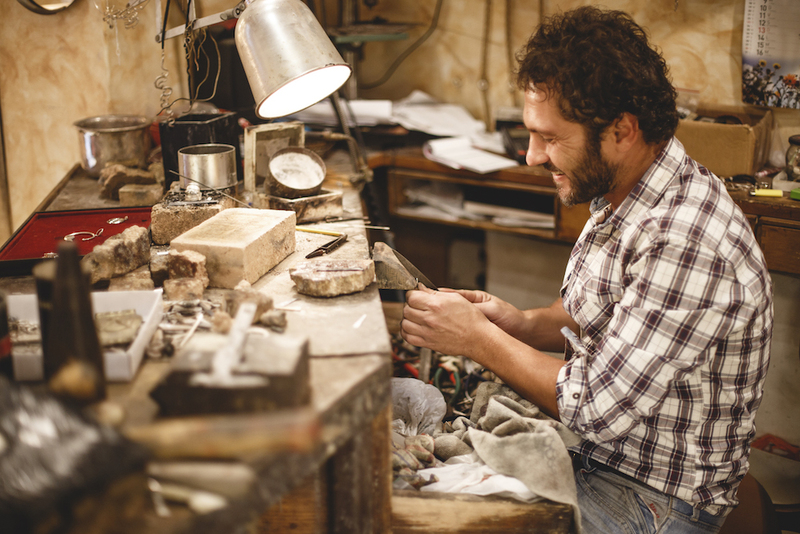 Not to mention the rich artisanal craftsmanship that still purveys in the small businesses peppered around the country keeping traditional craftsmanship alive in everything from jewelry to woodcarving and ceramics. It seems I’m not alone. As part of a study on the concept of “slow tourism” at the facilities of humanities at the University of Southern Denmark it is believed that the idea itself was born as a response to the many negative effects that mass tourism imposes on a destination (like what you might have seen in Venice and Cinque Terre). Slow tourism seeks to minimize the cultural, social and environments impact of one’s presence in a place by encouraging visitors to stay longer in a destination and to go as “local” as possible in terms of seeking out authentic experiences while simuntaneously respecting the place. Like this article? Don't miss "The Hidden Venice Most Visitor's Never See." How does one travel “slower? What are the benefits of this kind of traveling? There are almost too many to name, however by adopting some of the principles above you can actually enjoy a proper vacation while also helping to empower the local economy, and small-scale producers, of the place you are visiting. With a higher awareness of how a person affects the place they visit, the better it is for everyone: the traveler, the local vendors and of course the city itself. I recently read a frightening quote in this piece by The Guardian “The Instagrammability of a destination is apparently now the number one motivation for booking a holiday for millennials.” The article goes into detail on how social media affects the way people see travel, by seeking out famous and popular backdrops for their photos in lieu of actually discovering a place, even if it isn’t that photogenic. I personally, and we as a magazine, use social media as a tool to connect with our audience, but it should not be the only way someone prepares for a trip. There is something to be said for the written word and true in-depth research and knowledge of a place. A destination's merit should not exist solely for its "instagrammability." 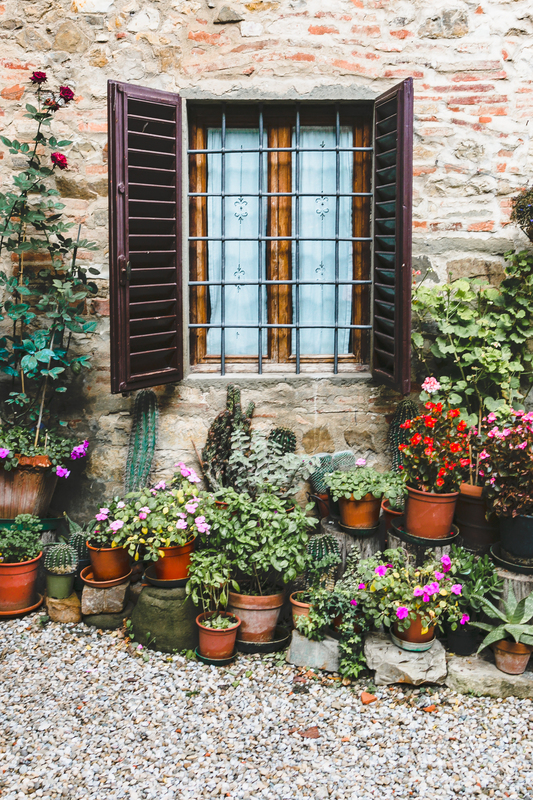 As a traveler, doing research to find authentic experiences in Italy is tantamount to having a truly everlasting experience one will never forget. Instead of visiting five cities in three days, consider just visiting one and leaving the others for next time. Luckily there is a chance to get an entirely different experience, even in a place with much fanfare like in Tuscany. For those who seek to embrace slow tourism in Tuscany but aren’t sure where to start, here are two people you need to know. I was lucky to meet Arianna and Alessio a few year's ago, they are owners of Km Zero Tours, a tour company offering visitors week-long experiences in the Chianti countryside. This young couple, half Tuscan, half Abruzzese, (but they met in Bologna, just to confuse things a bit more) aim at showcasing slow, sustainable travel and live to create meaningful and immersive travel experiences aimed at discovering the authentic cultural and culinary heritage of our Tuscan region. So, together with these two people I have grown to adore (especially when Alessio cooks for us), we have ten tips on getting the most out of your Tuscan adventures in 2018. FYI: You might be wondering what “Km Zero” means, it is the conscious choice to buy quality products and to consume them as close as possible to the area of their production, ensuring freshness, seasonality and biodiversity. 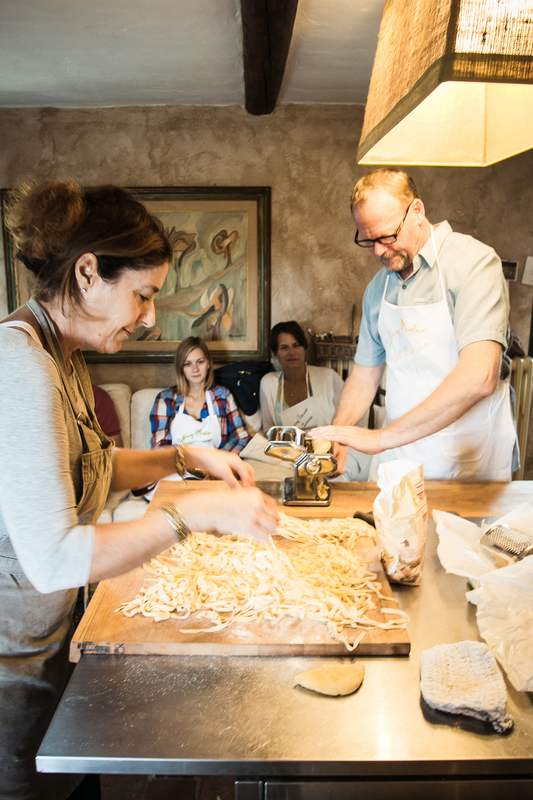 Italy is a profoundly exciting place for those who enjoy history, art and world-class cuisine. Knowing this, Italians really appreciate when you take a genuine interest into their culture and by asking questions and being mindfully present, you will likely walk away with a friend for life. 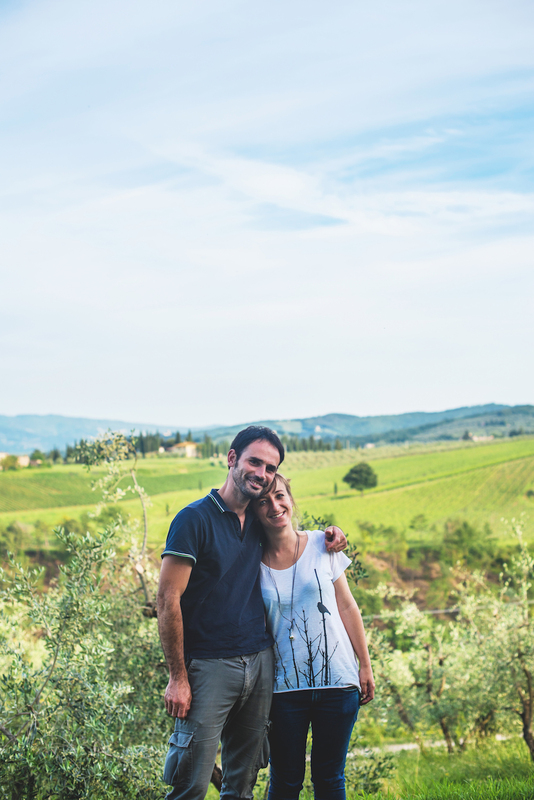 With Alessio and Arianna, you actually can get the chance to get a first-class education in local craftsmanship based around Chianti and of their slow-food philosphy, an integral mainstay in the countryside community in which they call home. By choosing such sustainably-conscious tour providers, you can benefit from their expertise and share their passion for wanting to keep these gems of local traditions alive. This means visiting one of the best goat cheese small producers in the entire region and a chance to walk through a working farm and ask questions, followed by a delicious tasting (wine before noon is encouraged). Or perhaps a first-hand look at a woodworker’s studio, a chance to watch art come to life out of hand-picked and hard-worked wood, this won’t be the average souvenir shop churning out Made-in-Italy fakes that you would normally visit on a package holiday. Most of us are quite used to our creature comforts, coffee a certain way, working WIFI, or people being on time (if not early) but is that always the most important thing? I always expect when traveling that small hiccups may occur and I’ve learned to not let it bother me and instead plan ahead if it is something really important. If the focus is on what’s not happening the way you want as opposed to what is actually going well, it would lead to a pretty frustrating experience. Instead embrace flexibility, stay gracious and kind and take a deep dive into how locals do things. Sometimes the internet doesn't work, or you can't get a decent phone signal. This however can lead to something else quite unexpected, an opporunity to truly live in the moment. It is not at all uncommon to linger over a meal for three hours and take a nap or take a leisurely walk after. Forget the constant need to be “doing something” and go with the flow of a place. I know it is very tempting to over-plan a trip, especially for those who don’t have a ton of vacation time (I’m looking at you Americans!). I’ve done it myself but I never remember those trips as well as when I’ve stuck on one place and planned activities nearby. 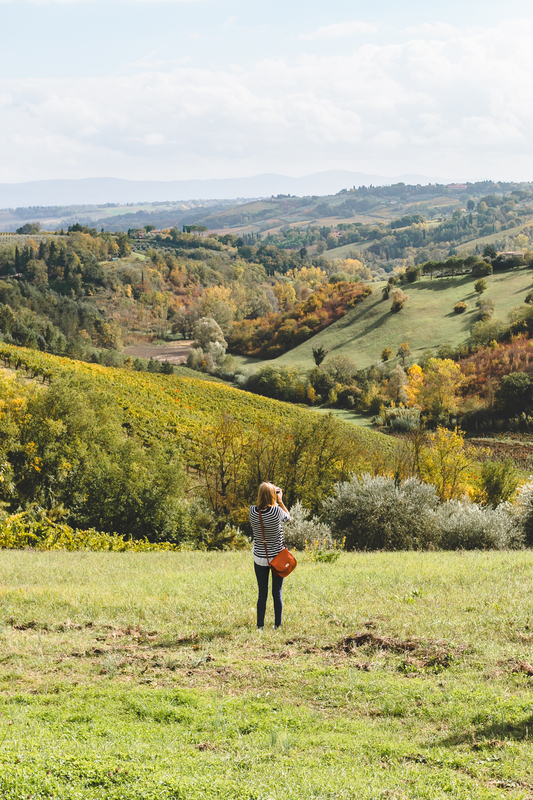 What I adore about Km Zero Tours is that you can base yourself in one beautiful area of Chianti with everything. One thing I encourage visitors that come anywhere in Italy is to ask locals what they can do to help. This doesn’t always have to mean contributing financially (although that helps) but it can often be as easy as spreading the word among family and friends to help small producers get a little more business as they often don’t have the big budgets for marketing that more famous names have. Save a word doc list of the people you've met and a few fun anecdotes to send to people heading to that same destination, the local's will be more than appreciative. After my own experience in Chianti with Alessio and Arianna we stayed in touch over email and Facebook, thus giving me an idea of what they are doing and how I can share, help, comment or even just get excited about a return trip. The same goes for the producers I met during the trip, which is something I encourage you to do as well. Save their email, contact info and when you have a question about the experience, ask them! Tuscans are wonderfully generous with their time and advice. When you can walk away from a tour knowing that you have actually found a friend and helped a community stay true to itself by showing an interest in their traditions, that is the most beautiful takeaway one can ever hope for. It can be easy to constantly compare how things are done in a new place you are visiting. All we are, are the experiences we have lived, so it makes sense that we might be befuddled at things we see as inefficient or different than what we are used to. However, that is part of the reason why we travel. We go precisely to live another reality for a short time which is why this is worth remembering when you are in a new place. 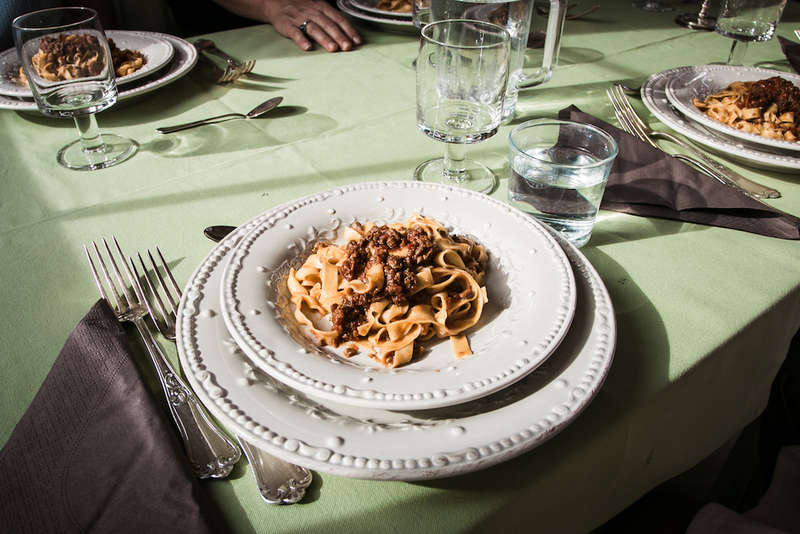 One of the best reasons to come to Tuscany is for the beautiful cuisine which tied so heavenly to the seasons. Fresh Spring peas in March, succulent peaches in the summer and fragrant truffles come Fall. Browse the local markets (and in Tuscany you have plenty) and dont be scared to ask advice on what to buy, what's in season, and how to prepare it. This is one of the many beautiful aspects of daily life in a place like Italy. 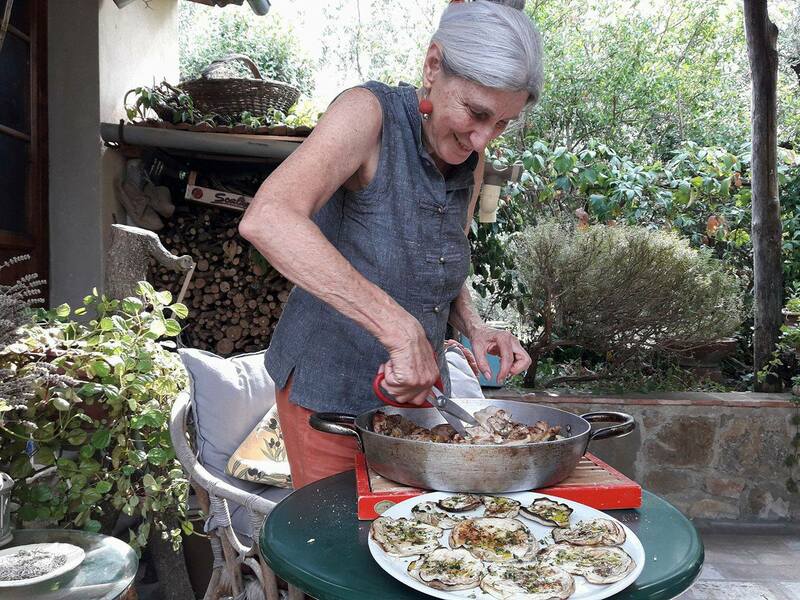 My fondest memories with Km Zero Tours in Chianti were the meals that we spent together as they talked me through each ingredient and why it mattered. The ancient grains that made up the pasta we were eating, or the spicy ting of fresh new extra virgin olive oil poured over a bowl of spup in November. Everything had a story and a reason of existence that for any food connoisseur will absolutely enhance their vacation. Even after ten years there is still something to discover here. At our last dinner Arianna had me try the most delicious cantucci (biscotti) from Mercatale Val di Pesa. These cookies were so perfectly soft with tings of lemon and almond, I spotted them at an organic market a couple of weekends later and bought a few bags. You would think that after 11+ years in a place I would already be set in my ways for this very typical Tuscan treats but alas, there is much that I have yet to discover. 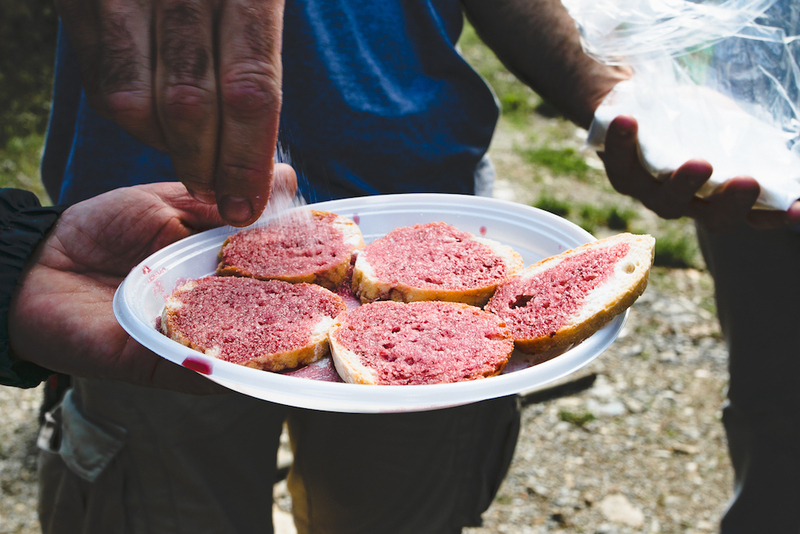 They also embrace showing people other traditional treats such as pane, vino e zucchero: bread soaked in red wine and spinkled with sugar, a delightful treat from the heart of the countryside. Thanks to their passion for constantly searching out high quality food sources, even their friends like me get to benefit! Staying for an extended period, or even a long weekend, with the same organizers gives you the chance to really get to know them. 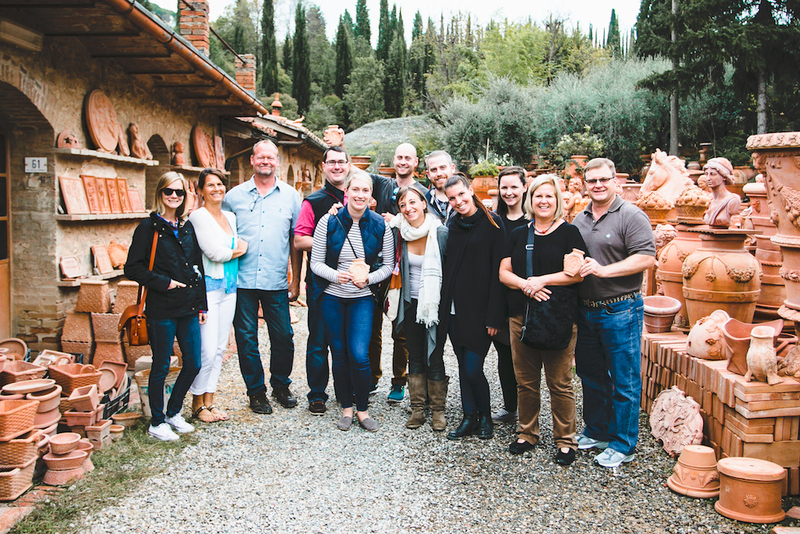 Naturally everyone is different but what I personally adore is when you can actually get personal and learn more about their life story about what got them to the place they were at today, in this case taking visitors around Tuscany. See if you can apply some of their home philosophies in your hometown. Feel free to take the opportunity to share it is why you came and what you hope to get out of the experience and see how you can take that knowledge home. Seek out local farmer’s markets and see what is season where YOU live, the more involved you are in your local community the more you will feel like those aspects from Italy have come full circle with your lifestyle at home. Want to join a small-group escorted travel experience, exploring Chianti and its beautiful treasures in an experience you will never forget? 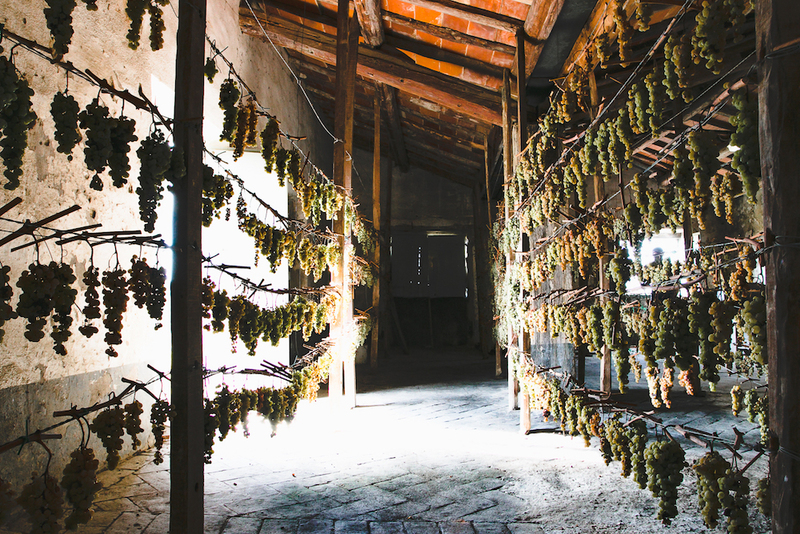 We suggest getting in touch with Km Zero Tours who will introduce you to the Tuscan way of life through the flavors, history, vistas, and people of this region.